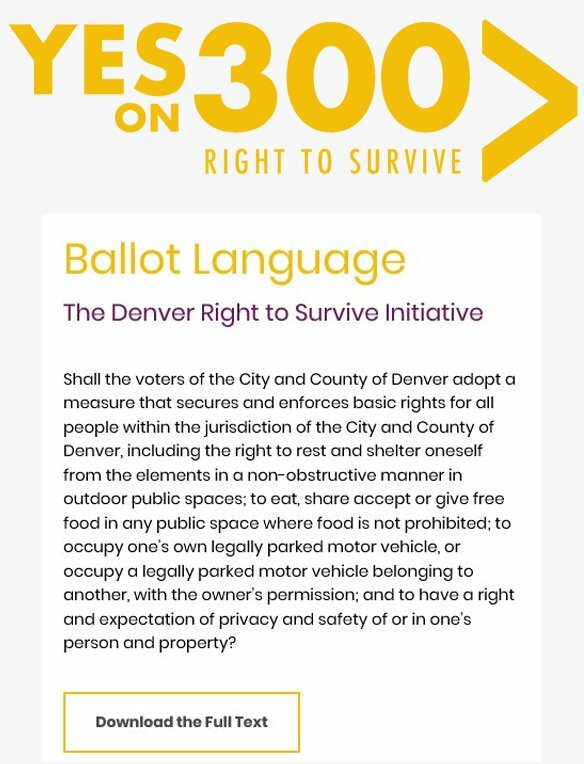 Denver, CO — The Democratic Party of Denver officially endorsed the Right to Survive Initiative today, voting in favor of supporting the initiative by over 70%. 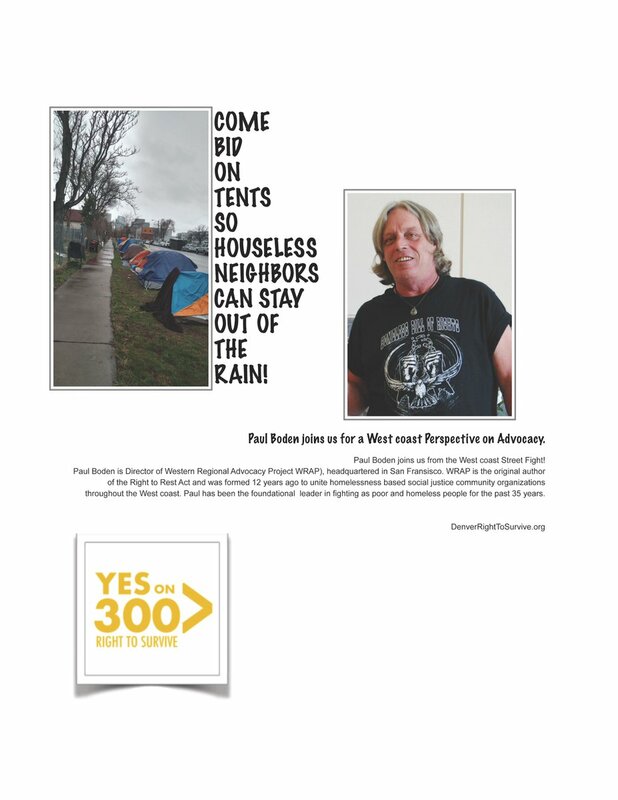 204 precinct captains voted to endorse the Right to Survive!! 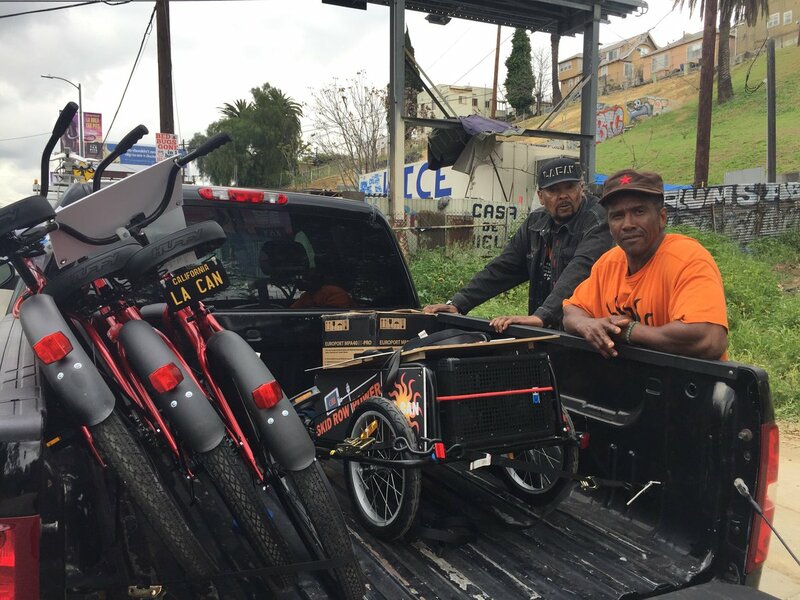 People know everyone should have the basic right to exist in public space! 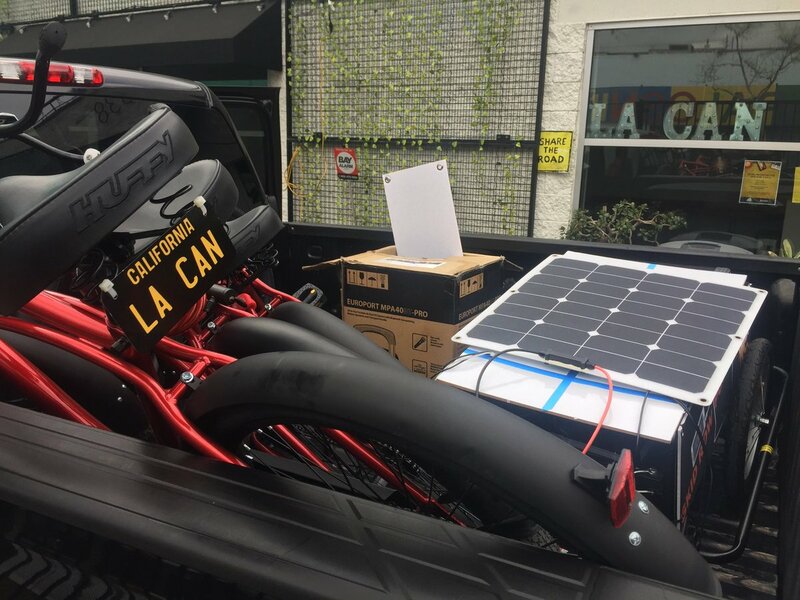 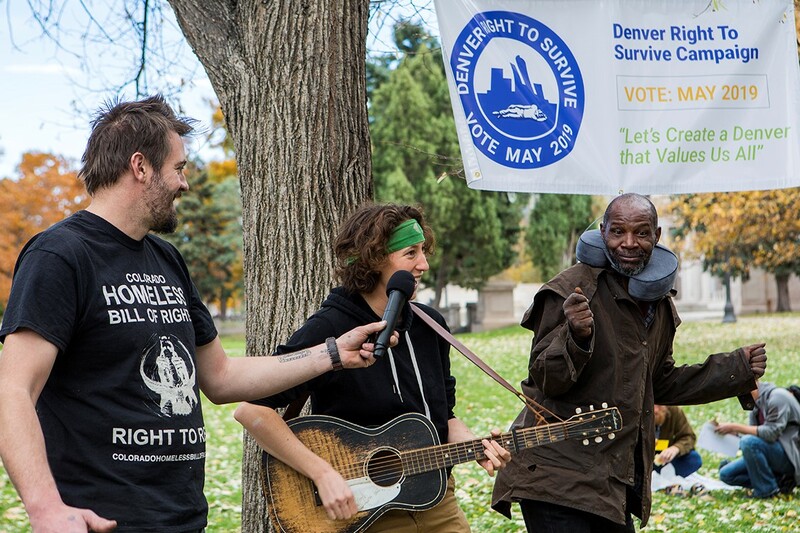 The Right to Survive Initiative would guarantee people’s rights to protect themselves from the elements, the right for people to share food freely, and will reaffirm people’s right to protection from illegal search and seizure of property, which is also outlined in the 4th Amendment to the U.S. Constitution. 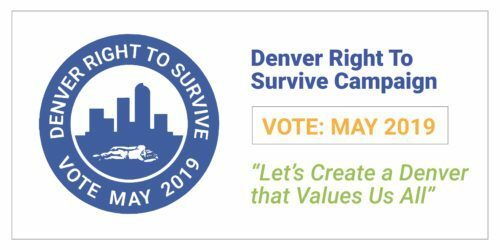 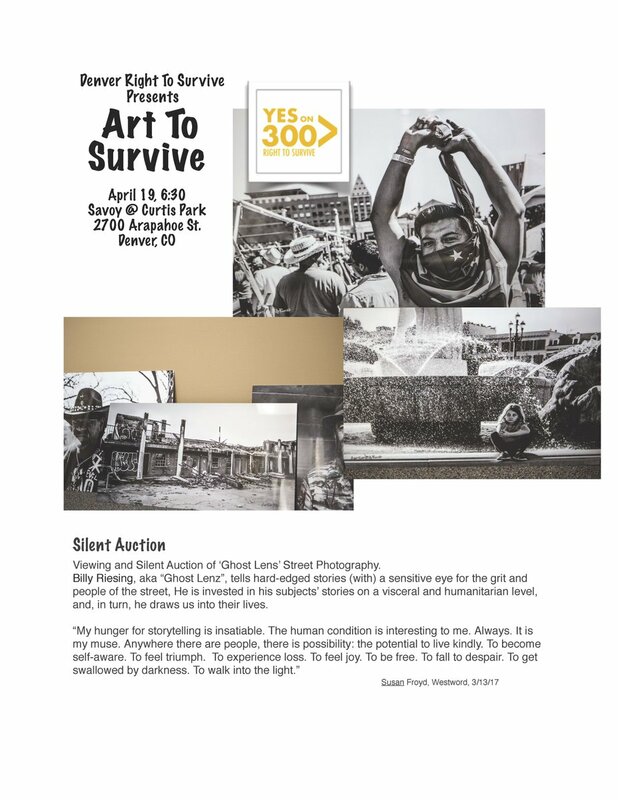 The Right to Survive will appear on the Denver Municipal Ballot May 07, 2019.